Over 125,000 virtual and physical registrants descend on San Francisco the week of November 17th for Dreamforce 13, a future of technology meets SXSW event. One day in advance of the largest enterprise software event of its kind, Salesforce.com announces Salesforce 1 (see Figure 1). The Salesforce 1 customer platform seeks to address a cadre of emerging digital business requirements that customer centric companies face. The new customer platform includes platform services, platform APIs, and the Apps created from the platform. Salesforce 1 platform services includes refreshes in Force.com, updates in Heroku, and adds Exact Target Fuel. As expected, Sales Cloud, Service Cloud, Exact Target Marketing Cloud, and Apps Exchange sit on top of the salesforce1.com platform. Internet of Customers support. 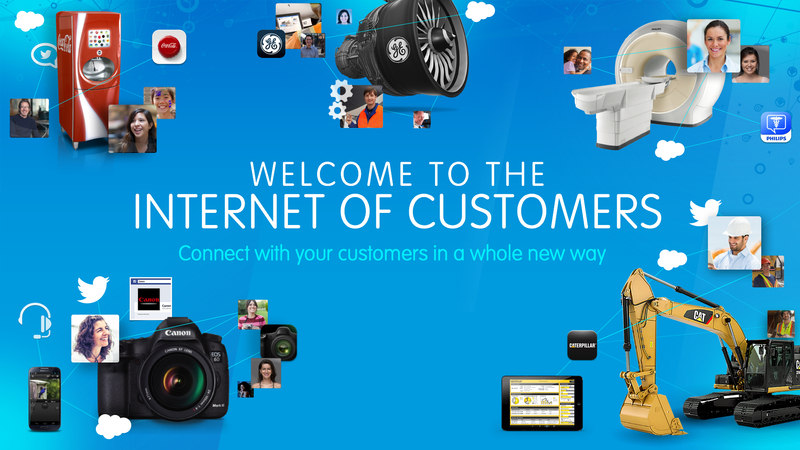 Salesforce includes social, mobile, cloud, and connected as the key components for The Internet of Things. In order to meet the requirements of a third wave of computing that moves from Internet of Things to what Salesforce calls the Internet of Customers, the new platform is designed to support this customer centricity convergence. Point of View (POV): Constellation sees more than 50B connected devices and at least 150B connected endpoints by 2020. The opportunity is huge. While Salesforce.com addresses 3 out of the 5 key components of digital business, the vendor still needs to provide video/unified communications and big data/analytics. Constellation believes the big data and analytics opportunity is critical to enhancing customer experiences, to benchmarking and brokering data servcies, and to buildoing new business models around big data and analytics. Customers should encourage Salesforce.com to consider how to enable big data business models in digital business in the next iteration. Meanwhile, most customers can wait until future releases for video and UC requirements to be met. Next generation apps developer platform. The PaaS layer adds a mobile first orientation that enables a write once and deploy anywhere platform. Developers can now deploy to a range of social, mobile, and connected devices. The platform services include 10X more API functionality. Developers can build customer apps, wearable apps, product apps, and salesforce apps. (POV): Salesforce hopes that its customers and partners will turn to the Salesforce 1 platform to build the next generation of apps. The new approach through Visual Force reflects today’s responsive design and connected enterprise requirements. Customers and partners will take advantage of the new data APIs improve queries to core CRM object data. Metadata and UI APIs improve ability to create new user experiences. Visual force also allows developers to build to any user interface through a responsive design approach. New mobile apps exchange apps. Salesforce adds 16 new mobile apps from partners. Partners include Box, Concur, Docusign, Dropbox, eVariant, Evernote, FinancialForce, FileBoard, HP, Kenandy, LinkedIn, ScanBizCards, ServiceMax, TAS group, Workday, and Xactly. (POV): AppExchange set the standard for how cloud apps could be marketed and sold inside a vendor ecosystem. Salesforce intends to replicate this success with mobile apps. Customers will benefit from a vibrant ecosystem of paid, free, and custom developed apps. There is a huge opportunity to expand out this ecosystem. The mobile apps exchange catapults Salesforce.com in direct competition with IBM and SAP for mobile dominance among customers. The Bottom Line: The Digital Business Era is Upon Us. Shift from engagement to mass personalization at scale. The digital business age is upon us. Those who fail to adapt will fall behind.